With the winter season upon us, kids need a great pair of boots to get them through the snow, sleet and rain during the next few months. Whether they prefer a classic style or more modern look, you can outfit them with a stylish pair that will last all season and beyond. A great option is the Timberland Kids 6 Inch Classic Boot. These boots are very durable and will survive all of your child’s winter adventures. Made with waterproof leather and featuring seam-sealed construction, these boots will keep their feet dry and comfortable. A durable rubber lug outsole provides traction, even in slippery winter conditions. These boots look good and feel even better, perfect for whatever the weather brings. 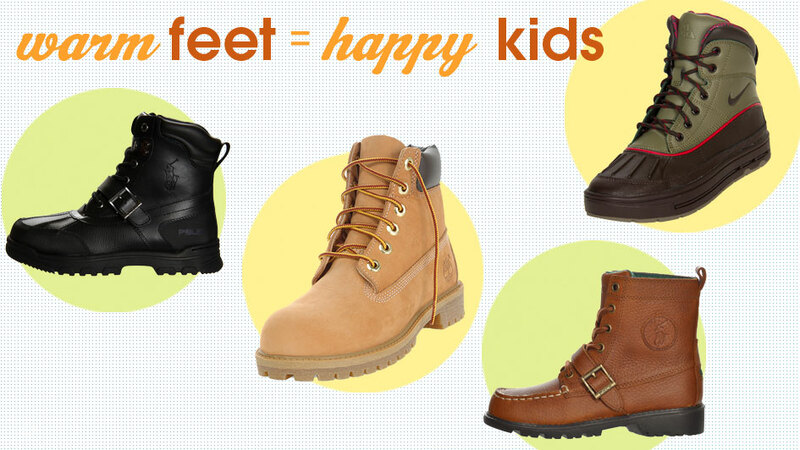 Even the youngest in the family needs a pair of sturdy boots in certain climates. Look no further than the Nike Woodside Toddler Boots. These shoes are made for outdoor activities. The soles have sturdy tread to keep your little one from slipping and a rubber upper protects your child’s feet from the elements. This boot comes in several different color ways that are sure to please any boy or girl. No matter what winter weather you’ll face this season Finish Line has a great selection of kids boots to keep the youngest in your family warm and dry.